La Grande (pronounced /la grand/) located in Union County, Oregon, was originally names "Brownsville," but was forced to change its name due to that name already being used for a city in Linn County. La Grande comes from the early French settler, Charles Dause, who often used the phrase "La Grande" to describe the area's beauty. Located in the Northeast corner of Oregon between Pendleton and Baker City, La Grande is about 260 miles east of Portland and 170 miles Northwest of Boise Idaho east of the Blue Mountains. In a town of approximately 13,000 people it is the county seat of Union County. Majestic scenery, wildlife, historic sites, and outdoor adventure captivate all those that live in and visit La Grande. 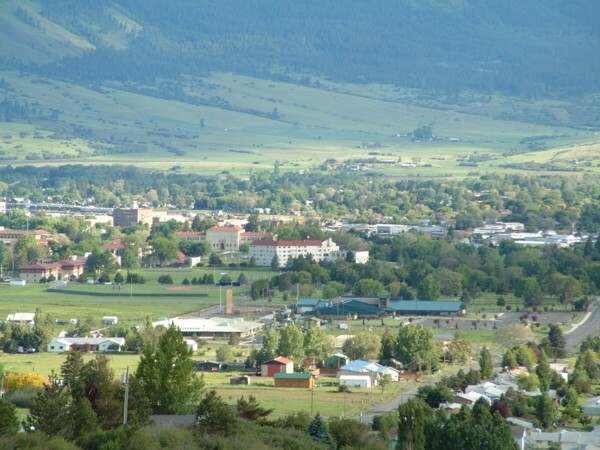 La Grande is a bustling and vibrant small town community. Because La Grande is so close to Wallowa-Whitman National Forest there is a limitless amount of outdoor activities such as hiking, camping, fishing, skiing and backpacking. With the forest boasting over 2 million acres in size and includes all or parts of the Eagle Cap Wilderness, Hells Canyon, Monument Rock and North Fork John Day wilderness areas there is always something new to explore. This includes 60 campgrounds, and more than 1,700 miles of trails. In the winter visitors and locals alike can try their hand at snowmobiling, and cross country skiing. In the summer mountain biking, camping, picnicking, swimming, boating and water skiing are always in full season. Fishing is on many minds in the La Grande area as there are over 13 species of fish, including trout, steelhead and salmon, in the many rivers and lakes. Even those that like a little more adventure can feel the rush of the waves in white water rafting on the Grande Ronde River. Just to the west of La Grande, Lehman Hot Springs is one of the largest hot springs in the Northwest. The springs was formerly a gathering place for the Nez Perce Indians. The 9,000 foot square swimming pool has temperatures ranging from 88 to 106 degrees F. Here is the place to be after a day of skiing, hiking or to just unwind after work. Relax in the soothing hot pools, or take an invigorating swim in the large pool. When touring downtown one can often stop and sit and just enjoy a day full of shopping with La Grande's pedestrian friendly shopping district. The tree lined streets enhance the turn of the century architecture, all adding to your rural shopping experience. 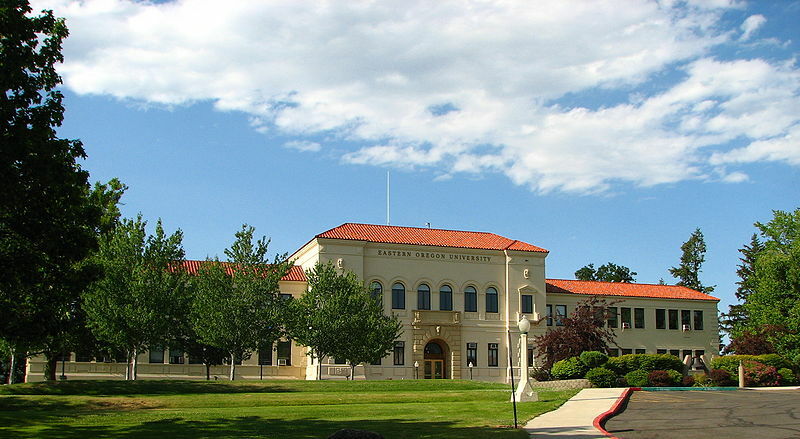 With Eastern Oregon State University within walking distance to the shopping district you are sure to see many students enjoying their lattes with open laptops taking in the sun. 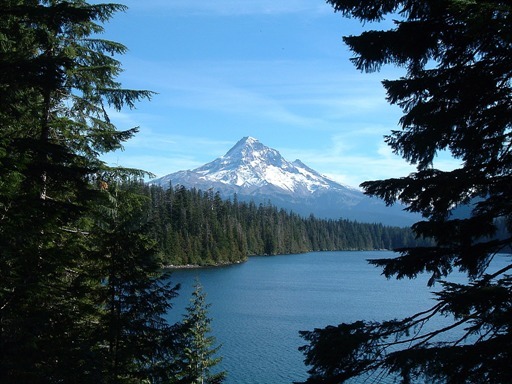 The university serves ten counties east of the Cascade Mountains in Oregon. La Grande offers big city conveniences paired with the small town community feel and offers recreational activities that only Oregon can provide. The Observer is the local daily newspaper. Eastbound exit 261 into La Grande off Interstate 84. 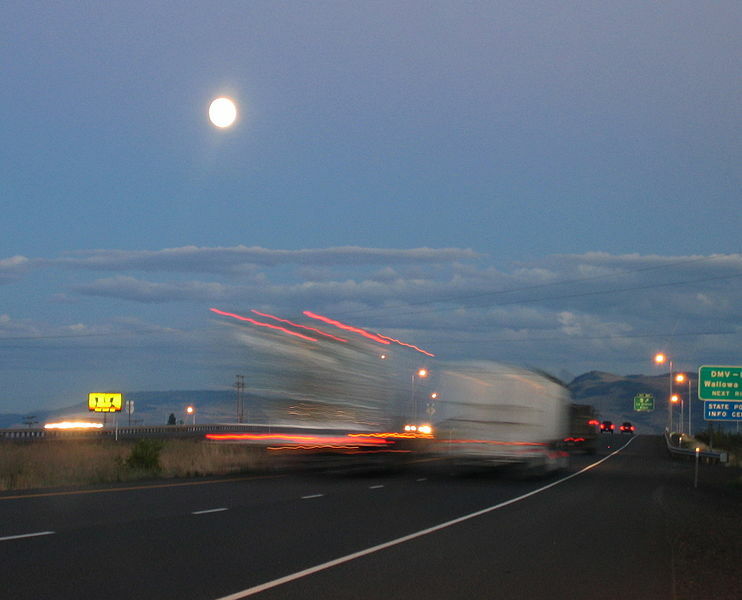 Interstate 84 is the main freeway through La Grande. It links La Grande with other nearby cities in the area (Pendleton, Baker City), as well as other regionally-important cities (including Boise, Idaho, Ontario, Umatilla, the Tri-Cities area of Washington, and Spokane). U.S. Route 30, serves as La Grande's main street under the name of Adams Avenue. La Grande is a crew change point on the Huntington and La Grande subdivisions of the Union Pacific Railroad, originally constructed through the area in 1884 by the Oregon Railway and Navigation Company. Between 1977 and 1997, the city was a regular stop along the former route of Amtrak's Pioneer between Chicago, Salt Lake City, Portland and Seattle. La Grande is also the junction of the Idaho Northern and Pacific Railroad's 20-mile short line to Elgin. La Grande also has the La Grande/Union County Airport is a county-owned public-use airport located four miles southeast of the central business district of La Grande, a city in Union County, Oregon, United States.